Call the Internet Department Today! (626) 298-8191. 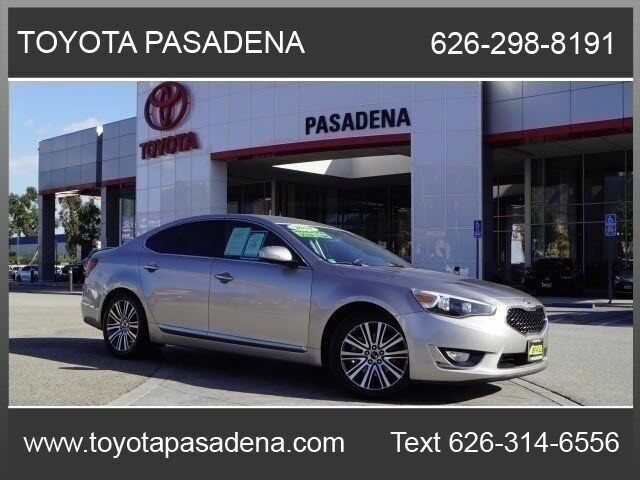 This GRAY 2014 Kia Cadenza Premium might be just the sedan for you. It comes with a 6 Cylinder engine. This one's on the market for $12,888. Complete with a beautiful gray exterior and a beige interior, this vehicle is in high demand. It has the best mileage with 19 MPG in the city and 28 MPG on the highway. Experience places you never would have gone before without this state of the art navigation system. Make your move before it's too late schedule a test drive today! Contact Information: Toyota of Pasadena, 3600 E. Foothill Blvd, Pasadena, CA, 91107, Phone: (626) 795-9787, E-mail: webleads@toyotapasadena.com.